SOLUTION: Be Known For Something that will reconnect you to your community. for reaching the lost for Jesus Christ. Church Communicator? Yes, you need it too! Mark MacDonald reveals 32+ years of experience as former Senior Creative Director of a large Canadian ad agency, Director of Communications, Bible teacher, President of his church branding agency, Be Known for Something, and now Strategic Communication Catalyst for 3000 Florida Baptist Churches . His 40,000+ social media followers know he’s the place for how-to direction! 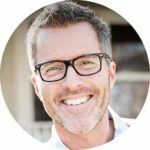 He’s written hundreds of articles, been interviewed for dozens of church leadership podcasts, and is heard at numerous national church conferences.